In the photos from our weekly walks, the transition from early fall to late fall is apparent. You can see our most recent Weekly Walk here. At about 6:00 a.m., I get out of bed and head to the bathroom where I weigh myself, put on my workout clothes, and re-braid my hair if it’s too loose to stay up while I exercise. In the kitchen I fill my water glass, leaving some drips in the bottom of the sink for the cat. I take my thyroid meds and then walk blearily downstairs. While the computer boots up, I scoop the litter boxes, sweep the floor, empty the dehumidifier reservoir, refill the cat’s water dish, and wash my hands. On mornings when I sleep in later, my spouse has done everything but refill the water dish (and wash my hands). I type in my password and put on my shoes while everything’s loading up. I click the links in my Fitness Blender plan to bring up the day’s workouts, record my weight on the FitBit dashboard, then check e-mail and Facebook until I get so disgusted with my laziness that I make myself actually get up and exercise. After forty to eighty minutes of jumping around the basement, I take off my shoes, log my workout, then hobble back upstairs. I interrupt the children’s play to instruct them to start eating breakfast, then I go take a shower and get dressed for the day, making beds and stowing dirty clothes along the way. Then we all brush our teeth and start our studies. This is what I’ve done nearly every morning since October 2014, except Sundays, which is my exercise day off. On Sundays, I try to take a walk before breakfast in the time I otherwise do exercise videos, but that doesn’t always happen. I don’t know how exactly this routine started. Ever since I started taking thyroid meds, I’ve had to do something for at least thirty minutes before breakfast, so things just naturally sneak into that space. For a while it was writing, then neighborhood walks. Now it’s exercise videos. Over the years, the ritual has just become more and more elaborate around this thirty-minute wait. If I don’t do this routine, I end up in a very irritable mood. Even on vacation, I try to maintain some variation of the routine, for my sanity and for the benefit of everyone with whom I’m likely to come into contact. I’m kind of like David Banner in the late-1970’s Hulk TV show—“Don’t make me angry. You wouldn’t like me when I’m angry.”—except that I take more personal responsibility for my moods. And sometimes I don’t do the routine because I’ve woken up in a very irritable mood. Last week, the routine got derailed because I got pissed off at the Fitness Blender workout I was doing. I shut off the thing with twenty minutes to spare and stomped upstairs swearing about Daniel and Kelli. My spouse stared wide-eyed and tried not to make any sudden movements. The kids just ignored me. Although this routine’s been working well-ish for almost a year, lately I’ve found myself wanting to change things up a little. I have no idea what kind of change to make, so I’ll probably just flail about for a few weeks until I either fall into a new routine or become happy with the old one again. How do you start your day? 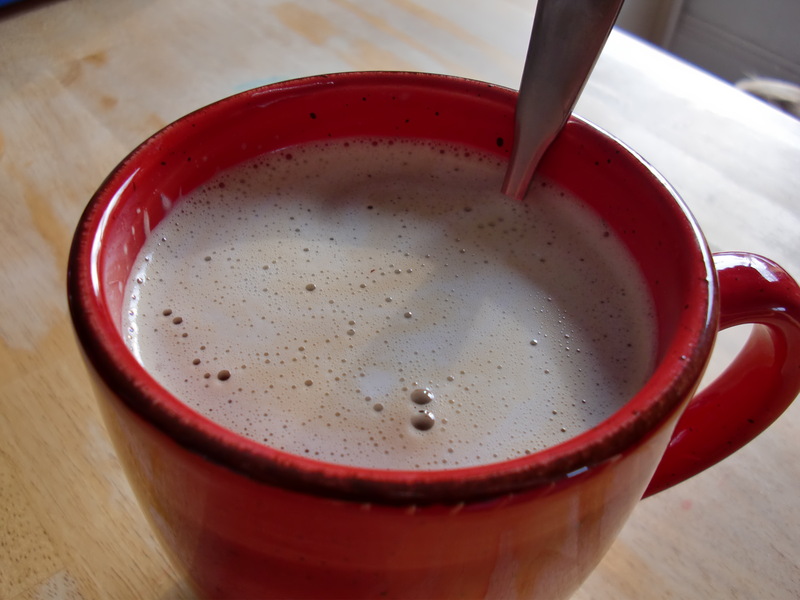 Do you have a morning ritual? If so, can I borrow some of it for myself? I was about to yell, so I left the bedtime routine to my spouse. I walked fast, oblivious. 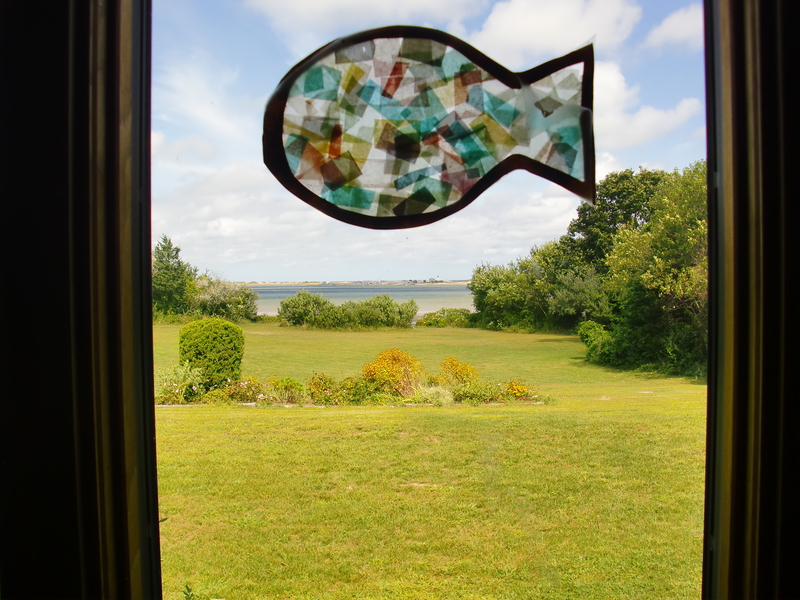 As my stress diminished, I began to notice things around me. Bats darted in the street lights. Two rabbits sat face to face in conversation. Then by a fence corner stood a large shape. I stopped. It raised its head. A deer. A big deer. It saw me and tensed. Antlers, three or four points on each side. “Buck,” I thought, and he pivoted, bounded, disappeared into the woods. I stood on the sidewalk, gaping at the spot where he’d just stood. 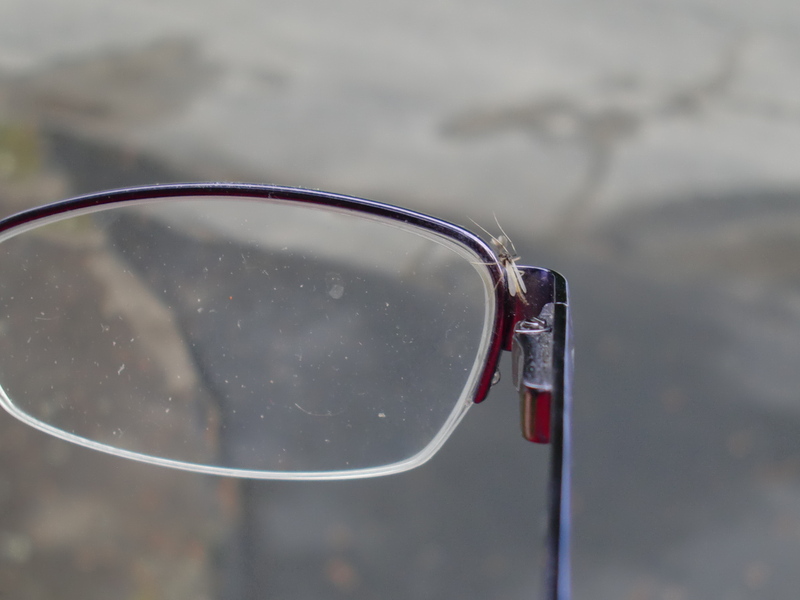 The other morning as I was leaving for my walk, this little fellow flew between me and my glasses and made himself (or herself) at home long enough for me to snap a photo. Anyone know what this bug is? Maybe a midge? We love red efts around here. 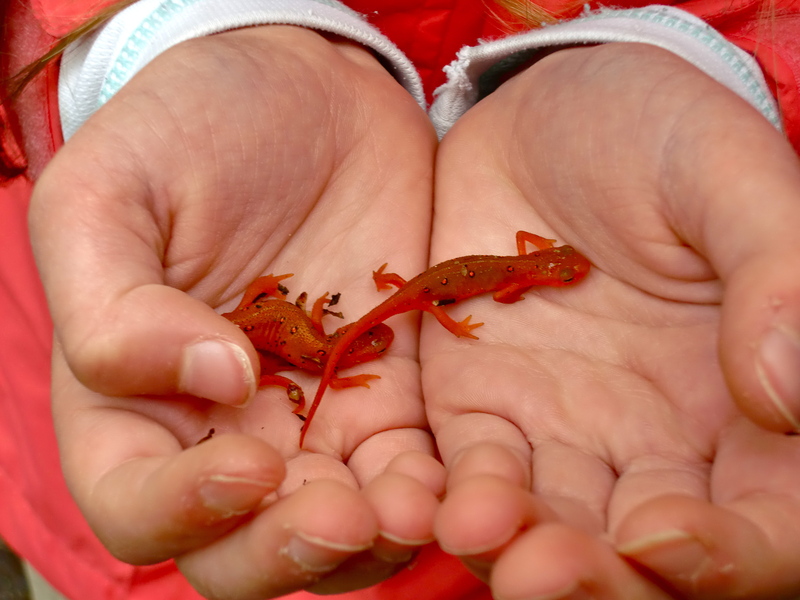 My children insist on rescuing every eft we find in the path when we’re hiking. Despite their bright color, they blend in very well on the ground, and my kids worry they’ll get stepped on. They always take me a little by surprise, even when I know to expect them. 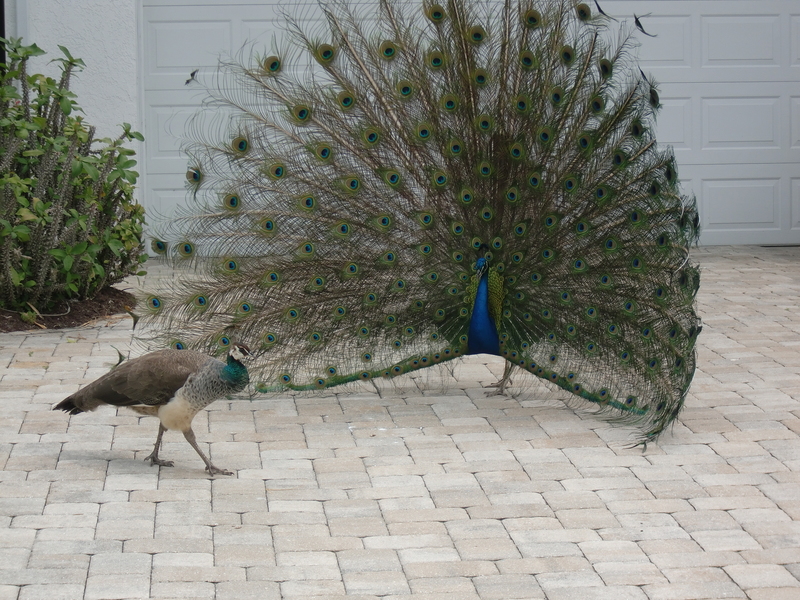 A peacock decides this driveway in suburban Florida is a good place to pick up chicks—er, hens. 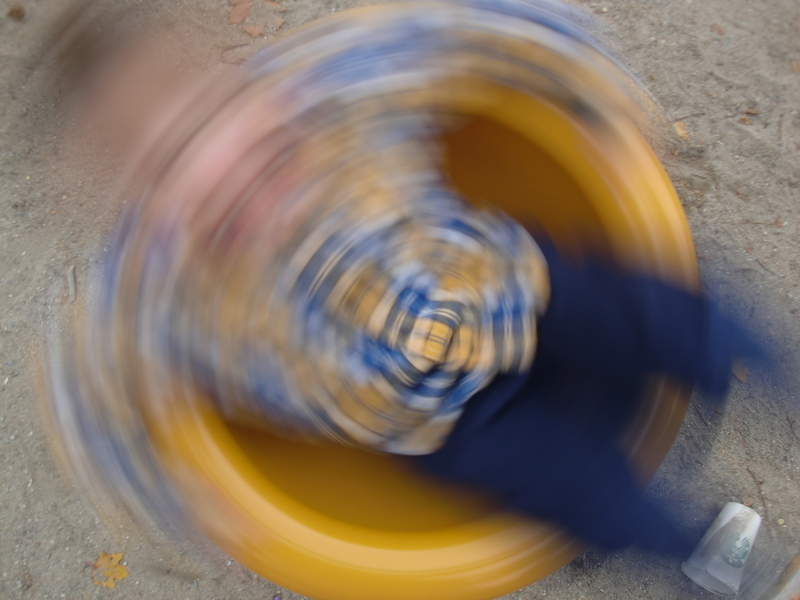 When I saw this week’s photo challenge topic, I immediately thought of this photo of my son on the playground near the beach in Saco, Maine, last fall. I feel a little sick to my stomach just looking at it, but he had a blast. This is my photographic response to this week’s photo challenge by The Daily Post. 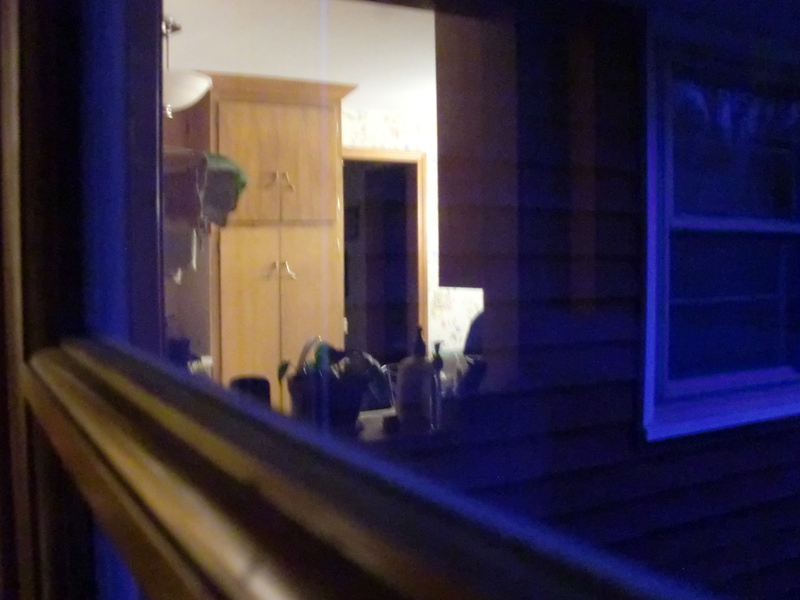 The kitchen reflected in the toy room window, December 2013. 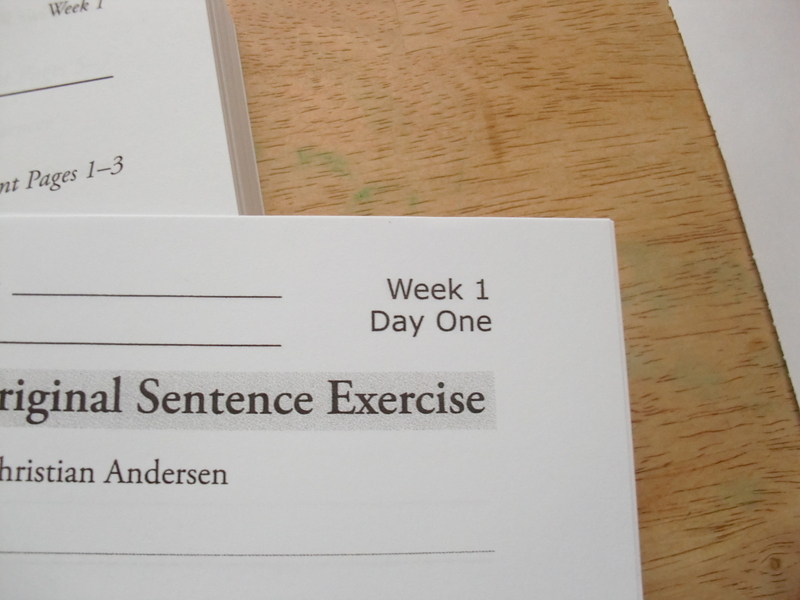 Somehow, we’re on a January-to-January homeschool schedule at my house, which means the new year brings new levels in our various subjects: new books, new plans, new things to learn together. When I first saw the subject of this photo challenge, I thought of sunrises, pregnant bellies, newborn babies, blossoms on tomato plants. But at this moment in my life, it’s these new books and all of the new discoveries they symbolize that feel like “beginning” to me. This one’s the first lesson of the new level of my daughter’s writing curriculum.